Partly because my son mistook me for a woman two Saturdays ago, I went to get a haircut on Monday. 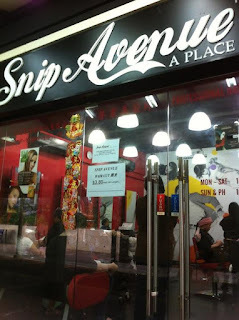 I decided to try this new place in Yew Tee called Snip Avenue where a haircut is only $3.80. That's even cheaper than QB House which has raised its price from $10 to $12 last month. The trouble I have with these hair places is that if you don't speak Chinese, you may have some difficulty communicating with your cutter. My Snip Avenue cutter first spoke to me in Mandarin, but when I took a while to respond, she switched to English. When I spoke to her in English, I sensed she wasn't very comfortable with the language. The last thing I wanted was someone holding a sharp instrument near my head to be uncomfortable with me and so I switched to my pre-school level Mandarin. She seemed relieved and spoke to me in Mandarin from then on. My hair was falling out because of the dandruff. It was the first time a person I was paying to cut my hair had ever told me that my hair stank. I didn't know whether to be offended or impressed by her bluntness. I asked her what I should do with my smelly hair. She recommended scalp treatments and hair products were brought out for me to buy. That was when I began to suspect that she might have an ulterior motive for verbally abusing my hair - she wanted me to buy stuff. I mean, how else are they going to make money when they charge only $3.80 for a haircut? I gave the excuse that I had to consult my wife before I could buy any hair product and left the salon after paying $3.80 for the haircut and immediately headed for NTUC FairPrice supermarket where I bought a $12.90 (reduced from $14.60) bottle of Head & Shoulders anti-dandruff shampoo for men hair retain (after getting my wife's approval on the phone, of course). Upon returning home, I asked my wife if my cutter had said my hair was smelly because she wanted to sell me stuff. 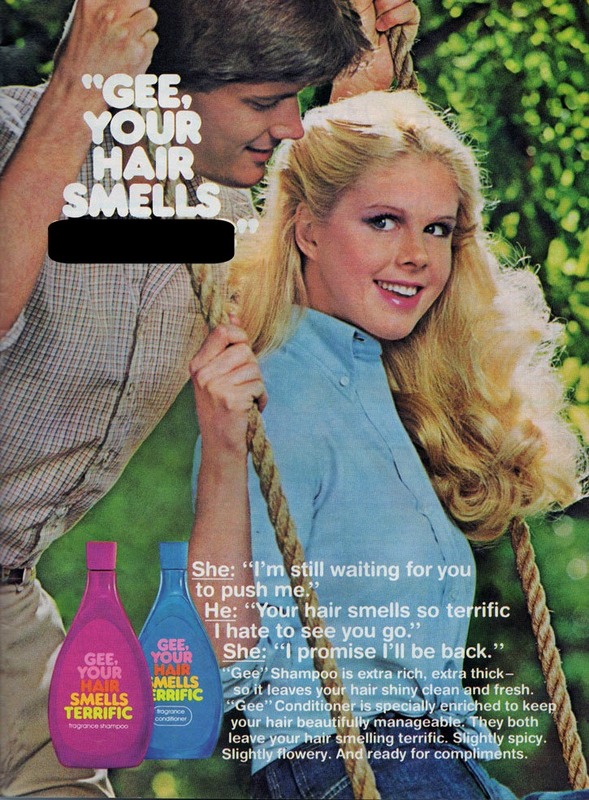 My wife said yes, but my hair also really stinks. And after all that, I think I actually look more like a woman now than before the haircut.